In 2014, the City of Carlsbad, New Mexico, proudly joined the WHO Age Friendly Cities and Communities Network. Carlsbad, the first New Mexico community to join, is now working toward designation as an age friendly community. Our mission is to improve the quality of life in the City of Carlsbad for people of all ages by continually looking for ways to enhance infrastructure, services and resources and by maintaining our friendly, inclusive atmosphere. We want to keep Carlsbad a great place to live, work, play and call home for current and future residents. The City of Carlsbad Retirement Council began working on its application to the network in spring of 2014, but a Chamber of Commerce led effort to make the community friendly to retirees and all citizens has been going on for more than a decade. The City of Carlsbad’s long-range plan (Greater Carlsbad Comprehensive Plan 2030) and implementation committee was incorporated into the baseline assessment meeting, and a three-year community-wide action plan was developed based on the findings. For example, an advisory committee has been meeting with City of Carlsbad employees to discuss ways to make the city transit system more user friendly.. The Carlsbad Chamber of Commerce, the Carlsbad Department of Development, the City of Carlsbad and the AARP have all worked together on this endeavor. While there is more work to be done, the City’s existing age-friendly services are well worth mention. The City has two senior recreation centers, a senior circle, a respite care facility, the Southeast New Mexico Community Action Corporation (an organization that provides meals for seniors), a college that provides reduced rates for seniors and an active Senior Olympics program. Carlsbad’s 34 parks are friendly to residents and visitors of all ages. Over the past year, a highlight of our Age Friendly effort was the development of “Friendship Park,” a playground specifically designed for children (and adults) with physical disabilities. This specially-designed park can be accessed and used by everyone! It was funded through private donations. The Carlsbad Chamber of Commerce’s Retirement Committee meets roughly monthly to discuss age-friendly efforts. The committee is currently working on a job fair designed for retirees and others interested in returning to the workforce. The committee has also recently worked with the City of Carlsbad to increase awareness of its emergency siren system. 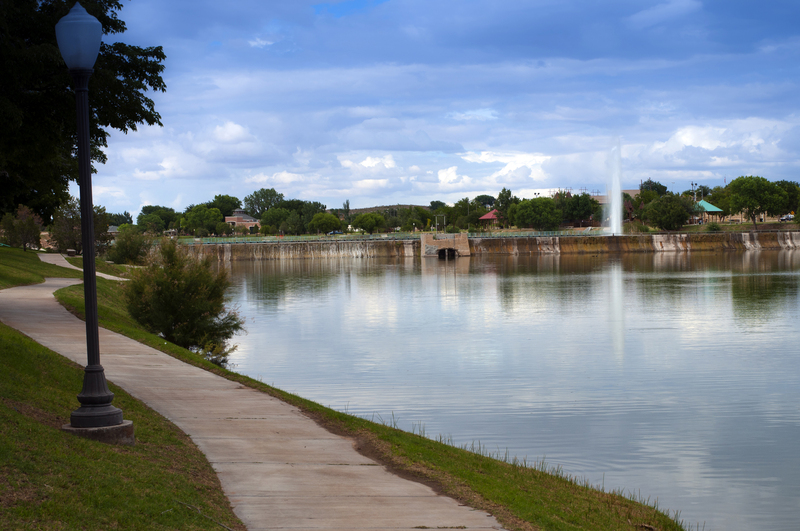 The committee is in the second year of implementing its action plan, but also keeps an open mind toward new opportunities such as Friendship Park. The Age Friendly Cities project is a great opportunity to examine the needs of our community and respond with an action plan to build upon current programs and facilities.